1942 SUNDAY. Slept late Daddy went To work evening Tour. He registered today I walked Down town. 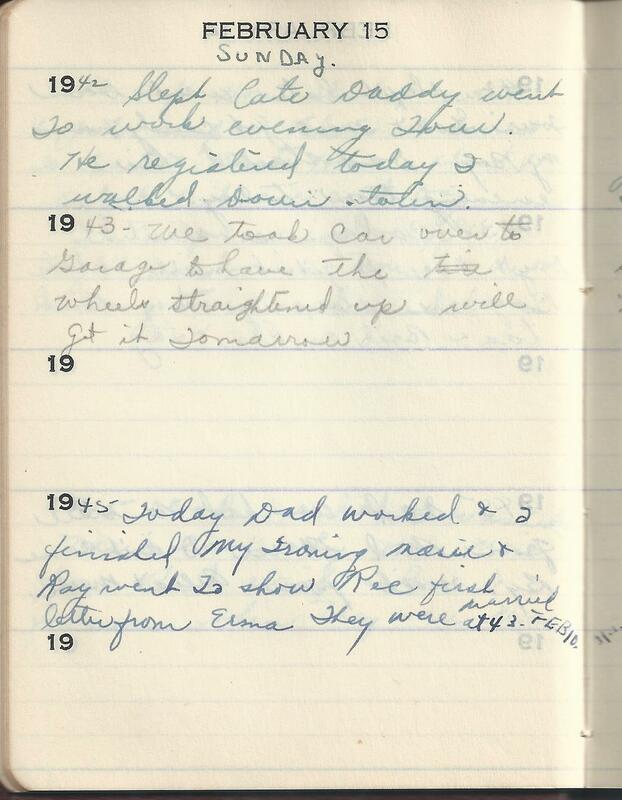 1945 Today Dad worked & I finished my Ironing Marie & Ray went To show Rec first letter from Erma They were married at 430(?) FEB 10. I wonder what my grandfather registered for in 1942? Could it have been the draft? She seems so matter of fact about it. He would have been 41 at this time so perhaps they weren’t too worried about him being called up.